Great news from CES. 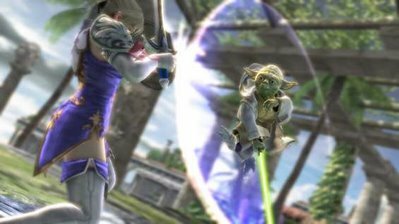 Both Star Wars Fans and Soul Calibur fans have got to be excited by this bit of news. LucasArts and Namco just announced that they will include Darth Vader and Yoda as playable fighters in Soul Calibur 4. This was announced just recently at the 2008 CES in Vegas with a bunch of storm trooper cosplaying going on during the event. 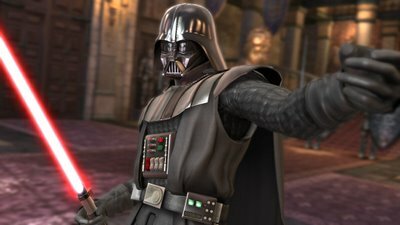 If you get the xbox 360 version of the game you can play as Yoda and if you get the PS3 version you get to play as Vader. Which one would you prefer to play? Check the special trailer with them here if you can't view it below. More info and images at gamedaily.com.